On some of our road trips, especially having driven through Indiana, Missouri, Ohio and Pennsylania, we occasionally saw some Amish people out and about in the smaller towns. Like many others, we are curious about their modest clothing and simple lifestyle. They seem to work hard—and pray hard—and we admire their faithful fervor. We once stopped into an Amish oak furniture store to see some of their beautiful woodcrafts. But we also enjoyed browsing through the food shelves as well. They had organic fruit preserves, fruit butter, fruit pie filling (which we bought and saved for this particular recipe post) and many other interesting food products. 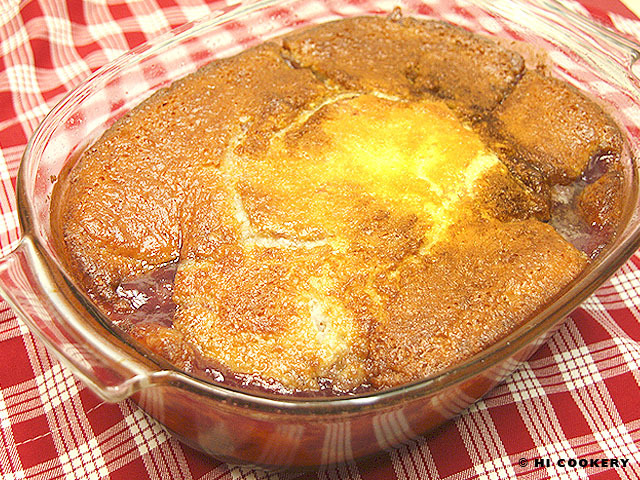 With the cherry pie filling that we bought from Amish Wedding, we dumped it into a baking dish for a very easy Cherry Dump Cobbler recipe for National Cherry Cobbler Day. 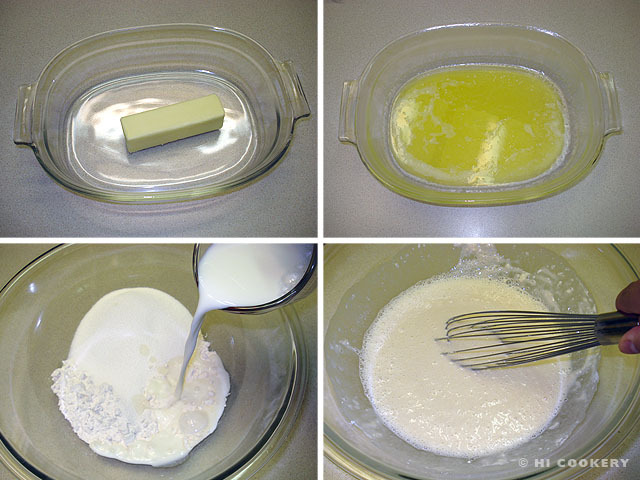 In a 13×9-inch casserole or large baking pan, melt the butter. 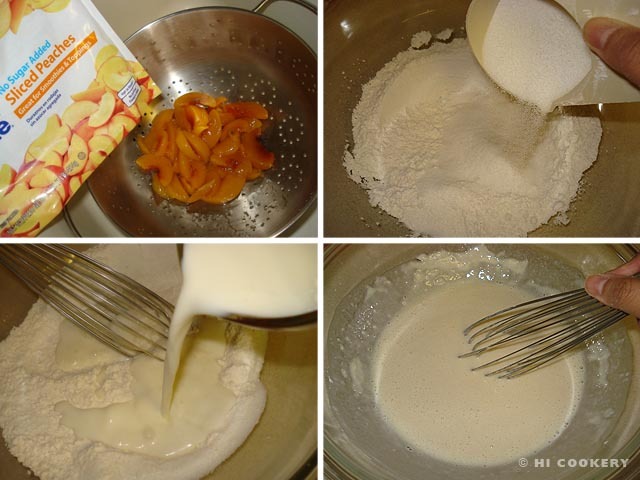 In a bowl, mix together the flour, sugar and milk until the batter is smooth. 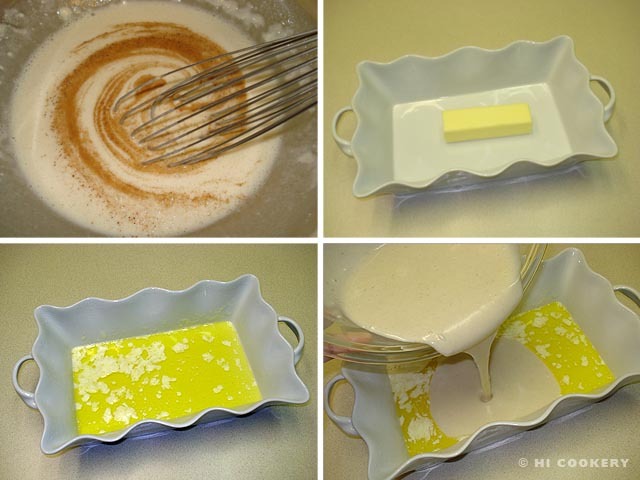 Pour into the casserole or baking pan over the hot butter. 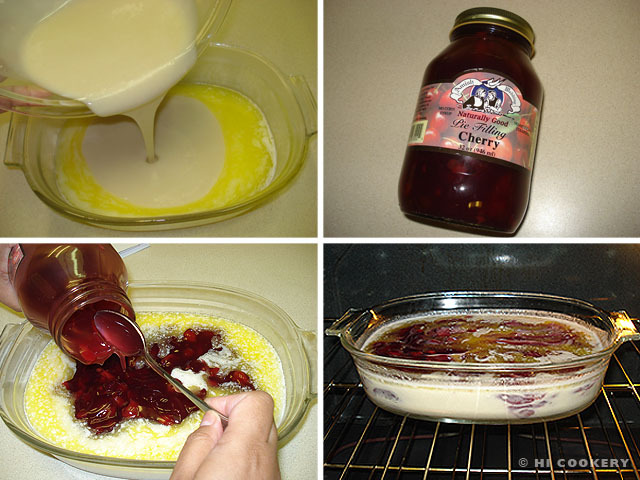 Dump the cherry pie filling over the batter and spread it out evenly. Bake in a preheated oven at 350 degrees F for 45 or more minutes or until the top is golden brown. The batter will rise over the cherry pie filling to create a cobbled and lumpy appearance. Remove from the oven. Let cool slightly. Serve warm or à la mode (optional). If not using self-rising flour, add 1 teaspoon baking powder and ½ teaspoon salt to this recipe. 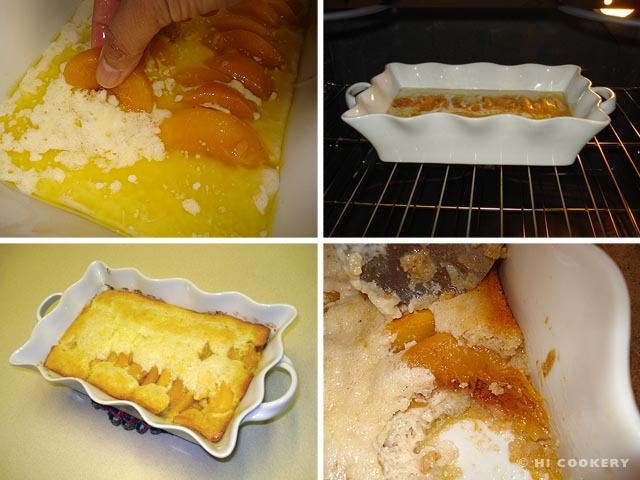 Those who like this easy cherry dump cobbler recipe may be interested in preparing peach cobbler. 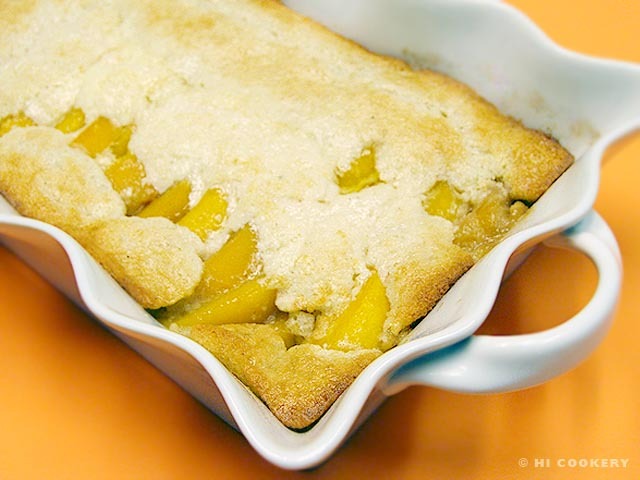 See our blog post on April 13 (National Peach Cobbler Day).